Clothing in Britain is increasingly characterised by a high volume/low value approach to business. Judging by past precedent, consumers will discard some 680m items of clothing when they spring clean their wardrobes this year. Replacements are cheap: dresses can be bought for as little as £5 from online retailers (indeed, a mere £3.75, reduced 25%, in Boohoo’s current sale). Cheap prices are praised for providing wider access to consumers. Fashion retailers argue that they are a sign of efficiency. But there is a dark side. A new report from the Environmental Audit Committee enquiry into sustainable fashion reveals how consumers are only benefiting from cheap clothes at considerable cost to the environment and through exploitation of poor and vulnerable garment workers. The environmental impact of fashion is well known. Cotton production uses large amounts of pesticides and water, while synthetic fibres such as polyester are derived from finite oil supplies. Bamboo, increasingly used as a cotton replacement, sounds pleasingly natural but is a semi-synthetic fibre, the production process of which involves the use of chemicals such as caustic soda. And while British consumers with an environmental conscience may feel less guilty as they take their unwanted garments to a charity store or vintage shop, many of these end up in landfill or incinerated because they cannot attract buyers – domestically or overseas. The social impact of fashion similarly raises concern. Evidence suggests that fashion companies do not yet monitor supply chains with such diligence that consumers can be sure that their purchases have not involved exploitation of the workforce. In Britain, many garment workers in Leicester are apparently being paid less than the minimum wage. Abroad, slave labour, child labour and poor working conditions persist, more than five years after the collapse of the Rana Plaza complex in Bangladesh left more than 1,100 garment workers dead. In recent years, the Waste and Resources Action Programme (known as WRAP), which is supported largely by public funds and works closely with the fashion industry, has done an excellent job in promoting clothing sustainability. Its report Valuing our Clothes provided a strong evidence base for action. It has warned government and industry of the environmental impact of a throwaway culture, producing guidelines for designers and a protocol for companies wanting to produce longer-lasting clothing. But designing garments for longevity is pointless if they are discarded prematurely and merely add to the vast tonnage of clothing waste generated each year. Every garment that is produced contributes to the industry’s environmental impact. In a sustainable fashion culture, far fewer garments would be produced and, when no longer wearable, the materials would either be reused – for example, through upcycling, where unwanted clothes are redesigned into new items – or recycled. It is a vision that still appears a long way off. The Environmental Audit Committee’s report, however, offers hope. Vast amounts of clothing is discarded and, currently, barely 1% is recycled. A recent study highlighted the many obstacles to recycling that need to be overcome. The UK government’s Resources and Waste Strategy promised to review and consult on textile waste – but only by 2025, giving a strong indication that it does not regard the issue as a priority. By contrast, the Environmental Audit Committee’s report proposes a “producer responsibility” scheme in which producers would pay a 1p charge per garment to improve clothing collection and recycling in order to address textile waste. Such a strategy is long overdue and, like all tax threats, inevitably attracted the most media headlines. But the report proposes several other initiatives that could prove even more significant. For example, noting that Sweden has reduced VAT on clothing repair services, the committee recommends a more general reform of taxes, suggesting that “the chancellor should use the tax system to shift the balance of incentives in favour of reuse, repair and recycling to support responsible companies”. And it concludes that the voluntary approach represented by WRAP’s Sustainable Clothing Action Plan, which requires supporting companies to reduce their water, waste and carbon footprints, has had its day. Instead, it argues, such targets should be mandatory for all retailers with a turnover exceeding £36m. A revival in lessons on designing, creating and repairing clothes in the school curriculum is also proposed: a much-needed return to what was once taught as home economics. Whether the government will have the courage to accept this challenge at the expense of STEM subjects will be interesting to see. Economic and educational measures are needed, because recycling does not address the fundamental problem of unsustainable levels of production and consumption in the clothing sector. WRAP’s evidence to the committee revealed that improved production efficiency has reduced environmental impacts – but that these gains were more than offset by increased consumption. The situation is especially bad in Britain. 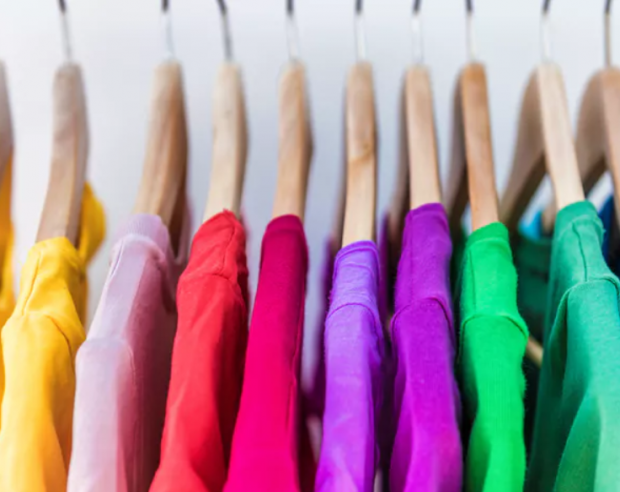 The Textile Recycling Association reported in 2018 that British consumers purchase far more clothes than consumers in other European countries: more than 26kg each year, compared with 17.6kg in Germany, 14.5kg in Italy and 12.6kg in Sweden. In short, companies produce too much and consumers buy too much. The sector is based on an outmoded and unsustainable business model and relies on insatiable consumer demand. Thus the fashion industry produces more garments than retailers are able to sell, while the secondhand market is unbalanced – with supply far exceeding demand. Meanwhile, wardrobes in Britain hold a vast surplus stock of garments, much of it unworn because we lack repair and alteration skills. The recent report contains many welcome proposals, but we need to go further. In Britain we consumed more than 1.13m tonnes of clothing in 2016, a significant increase compared with 2012. A target to halve this by 2030 would be an appropriate goal to focus people’s minds.